There seems to be a fashion for floating pumpkin patches in the U.S.A. at Halloween. 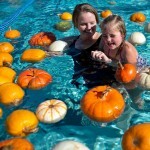 Some swimming pools are filled with pumpkins which you swim around and play with, before choosing one to take home and carve into a lantern. This you tube clip shows footage of one at a place called Rocklin. 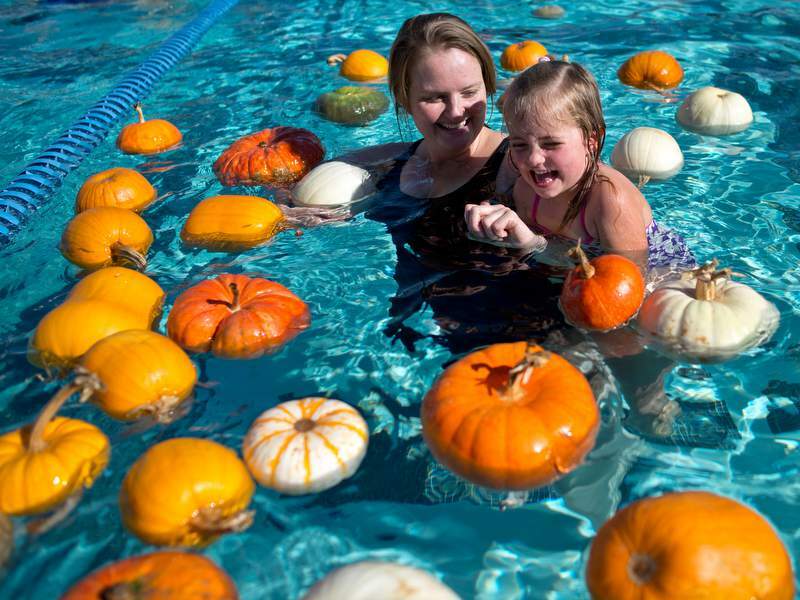 Watching the pumpkins nearly fully submerged, bobbing in the water reminds me of the importance of allowing your head to sink a little, in order that it can float freely while you glide or swim. This entry was posted in Uncategorized on October 31, 2016 by swimwithease.